Shakesville: Killing Women Is Totally Hot. And Cute! Killing Women Is Totally Hot. And Cute! The whole vanishing pigment business is so inane, so utterly without reason or purpose, that it's entirely possible for me to imagine that the imagery came first and the ooh-blue-now-you-see-it-now-it's-gone hook followed thereafter. Either way, I continue to be amazed by the nonchalance in using overt and suggestive images of sexualized violence against women to sell products—especially to sell products to women. 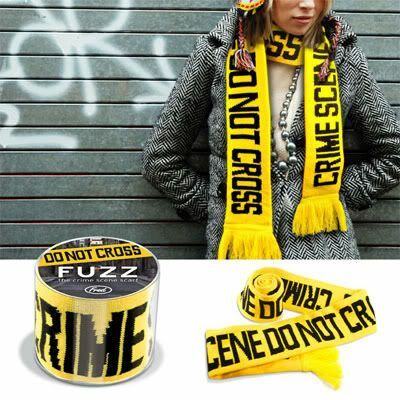 Finding a crime scene scarf among the girlish toys is profoundly disconcerting, not because sexual assault is not a part of many girls' childhoods—unfortunately, I know that to not be the case—but because it's offered as just another "cute" accessory. Dress yourself up as a pre-pubescent victim of violent crime by pairing our crime scene scarf with our teddy bear backpack and ballerina hairpin! A Culture of Violence Against Women: We're soaking in it.